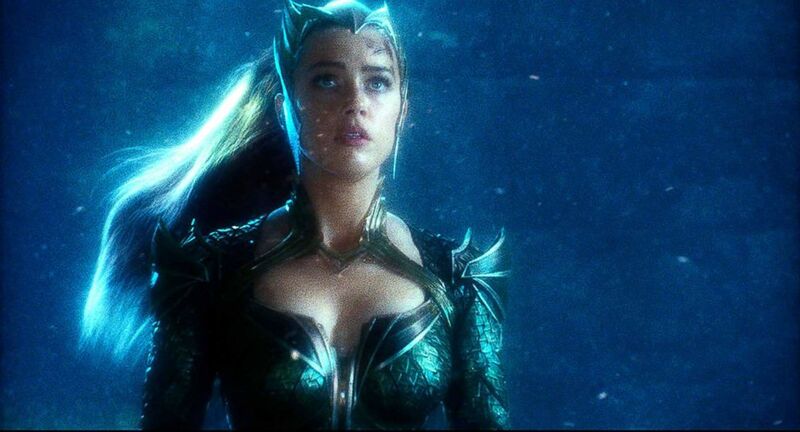 Amber Heard stars as Mera, queen of the sea, alongside Jason Momoa in "Aquaman" and the actress said that he would prank her during their downtime on the set. Heard confessed on "GMA" that she is a huge bookworm. When she was suspended by wires for the movie's stunts, she said it was someone's sole job to toss her a book to read in-between takes. "I would have to drop it between takes 30-feet in the air suspended on wires during these large setups and somebody would rush in and throw my book up at me," she said. "I would feel so bad someone was going out of their way to do it so I was like, 'no, it's OK' and they could tell I was going crazy -- so wardrobe built me a book bag," Heard said. The creatives in the wardrobe department built her book bag "out of the green screen material" so that she could have it without interfering with her costume. 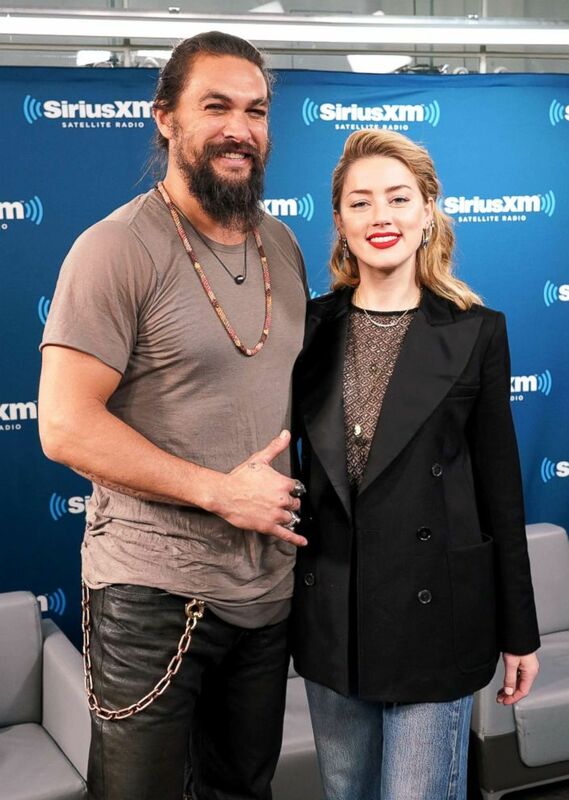 Jason Momoa and Amber Heard attend an event in New York City, Dec. 2018. The book bag also ensured her books were safe from co-star Momoa. "He adopted this method of ripping out the pages of my book so I would pay attention to him," she said. "It would drive me crazy because I'd have 30 pages left and it would be gone." The pair were previously on the silver screen together in "Justice League," but Heard said when she first got the call from director Zack Snyder to join the cast of superheroes she thought he "called the wrong person" because she never saw herself in a "comic book movie." Amber Heard appears in "Justice League." "I went, 'um, did you maybe call the wrong person? Is there another actress called Amber? [You] definitely called the wrong person because this is just not for me,'" she recalled. "I didn't think I was very aligned with -- superhero movies or comic book movies." But the director explained Mera is a "different kind of character" and Heard quickly realized for herself after reading the DC Comic that "she's a real, you know -- badass." Heard is a strong female heroine and role model off-screen too. "I wear the orange ribbon in support of the UN's international campaign for the elimination of violence against women," she said. Heard hits the big screen in "Aquaman" nationwide on Dec. 21.